“The Story of Snow: the Science of Winter’s Wonder” by Mark Cassino and Jon Nelson. What is at the center if each snowflake that is formed? Why do snowflakes have 6 sides? How many types of snowflake crystals are there? Give your children magnifying glasses and they’ll be able to see how each snowflake is unique, just as described in this fascinating book. Photographs are mixed with illustrations to depict the science of snow. “All About Animals in Winter” by Martha E. H. Rustad. Have you ever seen a butterfly in the snow? Find out why some animals migrate, some hibernate, and some change the color of their fur to be camouflaged in the snowy landscape. “Over and Under the Snow” by Kate Messner, illustrated by Christopher Silas Neal. Even though the winter landscape is very quiet, there is a lot going on top of the snow and especially underground. Animals have all kinds of homes they build for the winter and ways of keeping safe, warm, and well-fed. “Tracks in the Snow” by Wong Herbert Yee. This rhyming book is a mystery story for the very young listener. A little girl makes tracks in the snow and then finds more tracks to follow. Who else is making tracks in the snow with her? “The Thing about Yetis” by Vin Vogel. Any large, white, furry Yeti, also known as an Abominable Snowman, loves winter. You’ll learn about all the ways this cute little Yeti enjoys the winter season, snow, and cold. But don’t be surprised that like many children, he also misses the warm days of summer! “The Snow Bear” by Sean Taylor, illustrated by Claire Alexander. This is a story of two children, a Snow Bear, and a sled. How do their imaginations help them when they get lost and have to find their way back home? A story of suspense and of friendship. Celebrate your family’s winter holiday and the winter season with books you give as gifts or that you find at your neighborhood library. 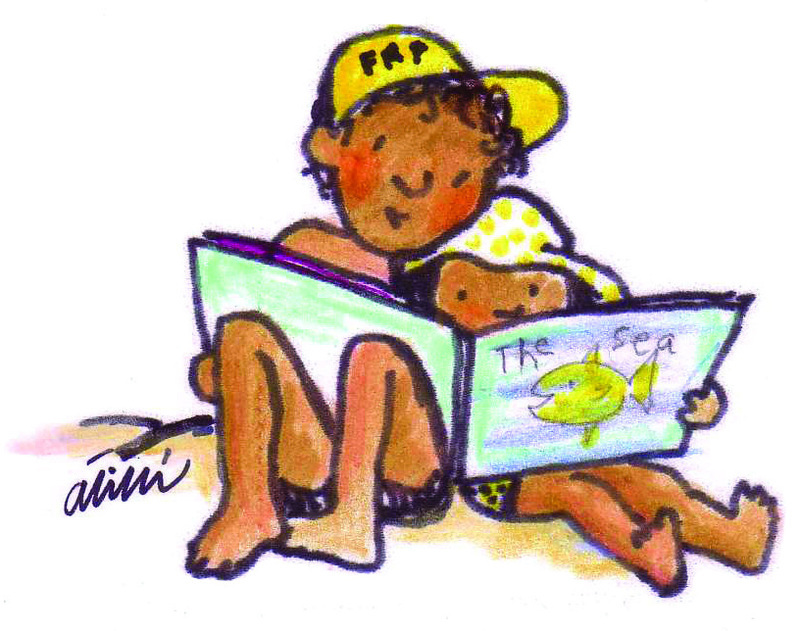 Make giving, getting, and reading children’s books a family tradition. You’ll be making memories for your family that will last a lifetime! How is your summer going? What have the kids been doing to keep busy? Running, jumping, swimming, exploring, and hopefully some relaxing have all been part of your family’s summer fun. 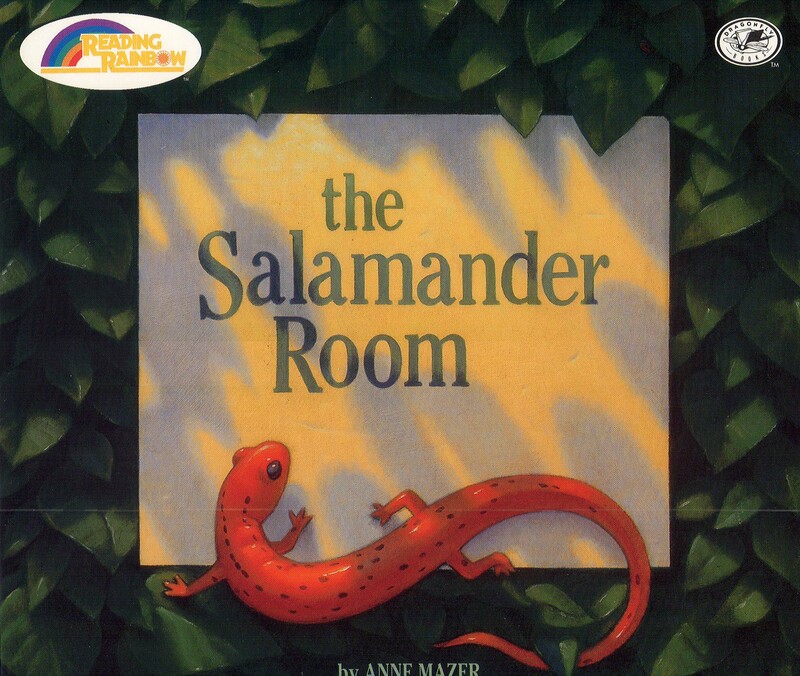 Read “The Salamander Room” by Anne Mazer, then go on a walk in your neighborhood and look under rocks, in streams, and in trees for creatures you may not usually notice. Read “The Doorbell Rang” by Pat Hutchins, then bake some cookies and count them. If you eat 2 cookies, how many are left? What kind of cookies did you make? Did you follow a recipe in a cookbook? Read “How Rocket Learned to Read” by Tad Hills, then write an alphabet letter in mud with a stick or in sand with your finger. A good letter for any child to learn is the first letter of his or her name. Read “Don’t Let the Pigeon Drive the Bus” by Mo Willems, then take a bus ride. Where did you go on the bus? Who did you see? Who drove the bus? 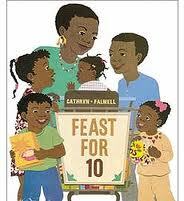 Read “Feast for Ten” by Cathryn Falwell, then go grocery shopping together. Make a list of what you need for the day. Check off each item on your list as you find it and put it in your cart. Read “Aunt Flossie’s Hats (and Crab Cakes Later)” by Elizabeth Fitzgerald Howard, then try on all the hats you have at home. What shapes, colors, and sizes of hats does your family wear? Read “Feathers for Lunch” by Lois Ehlert, then go on a walk to look for birds. You’ll find out the names of some local birds, what they look like, and what their call sounds like in this book. Can you spot any near where you live? Read “A Splendid Friend, Indeed” by Suzanne Bloom and ask a friend to come over and share a snack. Or you could ask your friend to play a game or draw a picture. What do you like to do with your friends? Your child has spent the afternoon running, jumping, swimming, and playing catch. Now it’s time to slow down and spend some quality time as a family. It’s time to exercise your child’s brain by playing with words, stories, and songs. You can do these activities almost anywhere with just a few materials. 1. Write down the titles of your child’s favorite books from home or the books you just got at the library on slips of paper. Put them in a bowl and then have your child pick a slip and see which book to read first. 2. Use a puppet or a stuffed animal to pretend to tell a story or read a book. Make up a new voice for the character that doesn’t sound like your normal reading voice. 3. Empty out the change in your pockets daily into a jar. When you have enough money, go with your child and buy a book of your child’s choice. 4. “Read” your family photo album together. Start with the baby pictures of your child and tell stories about the photos. What happened and who was there? What does your child remember? Tell the story of how you picked out your child’s name. 5. Help your child write and illustrate a letter it to send to grandma and grandpa or to a favorite author. You could also make your own greeting cards with your child for special occasions like a birthday or holiday. 6. Play a rhyming game. Say a word and have your child say a word back that rhymes, even if it is a nonsense word. Then reverse. You can make a little song with the words. 7. Write down all the things you will be having for dinner into a play menu. Help your child draw pictures of the foods next to the words. Use the menu at the table to “order” dinner like you would in a restaurant. 8. When you go on a trip or just on errands during the day, make a journal of your activities by writing them down as you go in a blank book. 9. Sing your favorite song together and let your child stand on your feet as you dance. Make up new verses of the song and sing it together.